Beijing calls the shots in North Korea? History shows that thinking is misguided. As tensions on the Korean Peninsula have grown, much of the relevant conversation within the United States has focused on China, the one nation that, according to many American policymakers, can control the North Korean leadership. “China does hold the key to this problem,” explained Senator John McCain, who described the Chinese “failure to rein in what could be a catastrophic situation,” as “disappointing.” Many other policymakers and media outlets agree. This thinking is, however, fundamentally flawed on numerous levels. To begin with, it abdicates American leadership, deferring to a rival in an area of great strategic and economic interest. It also embraces facile solutions at a time when difficult decisions are needed. The U.S. may not have many good options on the Korean peninsula, but the nation’s long-term interests require its leaders to make some hard choices, rather than fall back on rhetorical nostrums that distract and delay without offering any substantive vision. Most significantly, however, the current approach suffers from a fundamentally flawed understanding of the true nature of the Sino-North Korean relationship. Over the past decade, the world has finally begun to gain insights into DPRK policymaking, largely through materials obtained from former communist bloc states, most of which have been collected by the North Korea International Documentation Project. On a most basic level, these materials do confirm that China has been both North Korea’s most consistent ally and a vital provider of assistance in many forms. At the same time, these archival documents also suggest that the Sino-North Korean relationship has always been much more complex than Mao’s famous claim that the nations were “as close as lips and teeth” suggests. These new materials point to four additional aspects of the relationship that policymakers must also consider. They suggest, first, that the alliance is rooted in strategic self-interest rather than strong fraternal or ideological bonds; second, that the closeness of the relationship has waxed and waned dramatically based on changing internal conditions and the evolving international environment; third, that DPRK leaders have often seen China as too expansionist, too assertive, and too unreliable to be fully trusted; and finally, that throughout the past half-century, the DPRK leadership has firmly and consistently resisted Chinese efforts to influence their policymaking. These realities were on display as early as the Korean War. In the months preceding the North’s surprise attack against South Korea in 1950, China strongly discouraged the DPRK from launching a military campaign and refused Kim Il Sung’s suggestions for greater intelligence collaboration. A resentful Kim then failed to provide China with information about his war preparations, and did not even send a representative to brief the Chinese until three days after the attack. Mao was furious, venting that, “They are supposed to be our next-door neighbor, but they did not consult with us before taking military action, and they did not even notify us of the outbreak of the war until now.” The Chinese, of course, later intervened to save the North, but they did so because of Soviet pressure and a desire to protect and expand their own influence, not because of any genuine commitment to Kim. 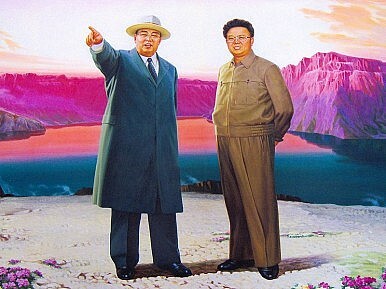 For his part, Kim was also reluctant to accept the Chinese as equal partners for fear of sacrificing his political control, leading to tensions over strategy and decisions ranging from the organization of the military command through control of railroads to the specific tactics to be implemented. In these cases, Kim almost always had to defer to the Chinese, given his need for their military support and Josef Stalin’s frequent interventions on the Chinese side. Nevertheless, Kim clearly resented the way the great powers made critical decisions without regard to his wishes, steadily fought against allowing his patrons to control internal matters, and constantly sought to minimize Chinese influence.